Race/street car design rendering for a hot rod project. 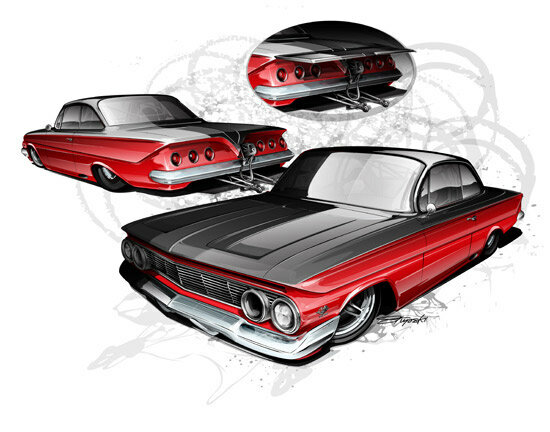 Design rendering for a street/race Impala project. Full roll cage, custom touches galore, and a hide-a-way rear wing, just for kicks.